An author has been jailed for 18 months for stealing thousands of historic photographs from one of Britain's biggest picture libraries. Adrian Rigelsford, 34, of Huntingdon, Cambridgeshire, was described as a "cunning thief and cheat" after stealing and selling about 56,000 pictures. He had denied one count of theft from Associated Newspapers' archive. 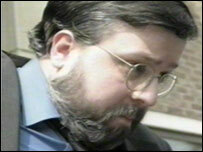 He was found guilty an earlier hearing and at London's Blackfriars Crown Court on Friday he was jailed. Judge Deva Pillay told Rigelsford: "In my judgment you are a thief, a cheat and it seems to me, on the evidence I have heard, a man lacking in courage." He added that Rigelsford had "cunningly, deliberately and systematically" ingratiated himself with library staff in order to get privileged access to the archive to plunder it for his own greed. At the trial in May, the court was told an inquiry began in 2002 after some of the library's collection were seen in two London shops. Rigelsford, who has ghosted biographies on actors Peter Sellers and Brian Blessed and is regarded as an expert on the cult TV series Dr Who, was said to have made £75,000 from selling the pictures between 1994 and 2002. 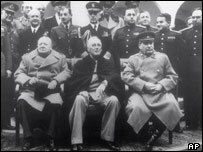 The photos were said to include turn-of-the-century shots of the Royal family and the Yalta Conference - the 1945 meeting of Churchill, Roosevelt and Stalin to discuss post-conflict Europe. Rigelsford denied stealing the photographs, insisting he had taken possession of them innocently. He claimed some were taken from a skip outside the library and others from a sack being thrown out by a cleaner. He had been visiting the library for 10 years and was trusted to collect and return photos by himself while he carried out research. Lauren Soertsz, defending, said her client was now a broken man, facing both the loss of his good character and possibly his career in what was nothing less than a "dramatic fall from grace".